It was a jam-packed weekend when we visited Cebu last time because aside from a gastronomic and staycation experience that we had, our group also went for an outdoor adventure. 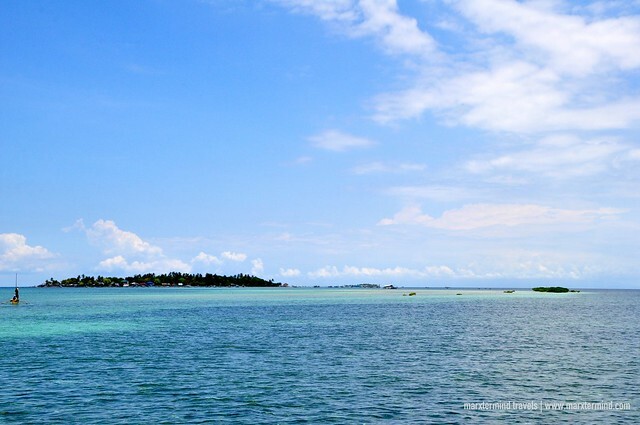 Since we were already in the island of Mactan, our group had decided to spend a day for an island hopping activity. 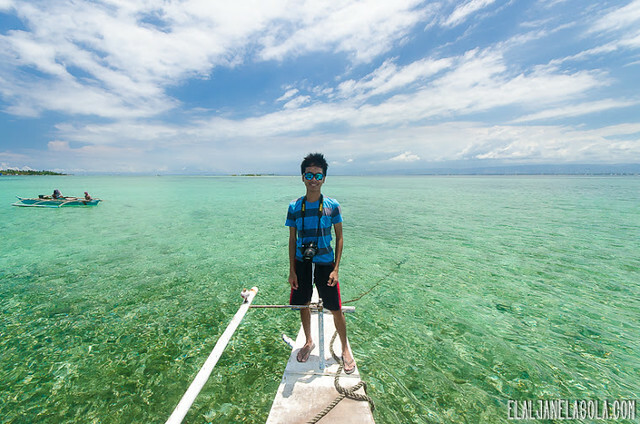 The island of Mactan is a gateway to several islands and underwater spots that are great for island and underwater adventures. 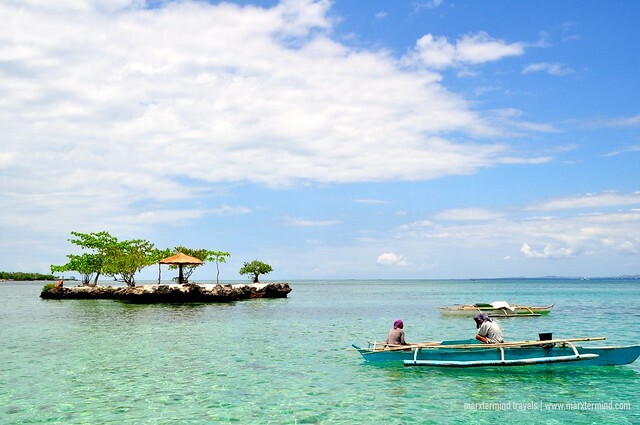 Mactan Island provides one of the greatest island hopping activities in the country. A vast range of island destinations wherein each one has its own distinctive interest neighbors the island. 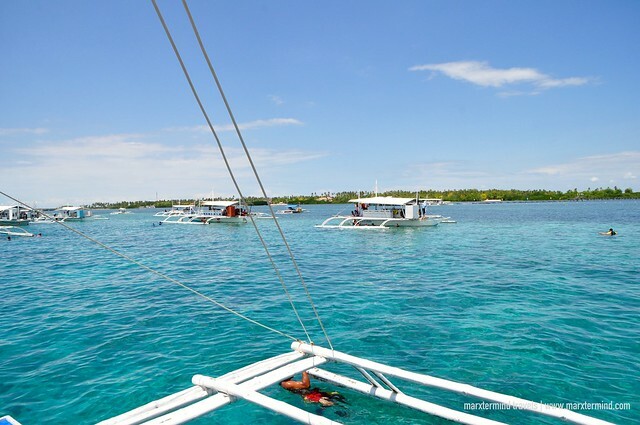 Getting a boat to hire for an island hopping adventure in Mactan is easy. One great starting point is from Maribago Beach. The rate for the activity varies depending on the number of people and the size of the boat. A small boat that can accommodate up to 10 persons can be rented for about PHP 2,500. A bigger boat that can accommodate up to 20 persons can be rented for about PHP 3,500. The boat rental is already good for the entire day. Other expenses like snorkeling gear; guide fee, island fees, meals and other similar expenses are not included from the boat rental. Each person should shoulder those as additional expenses. 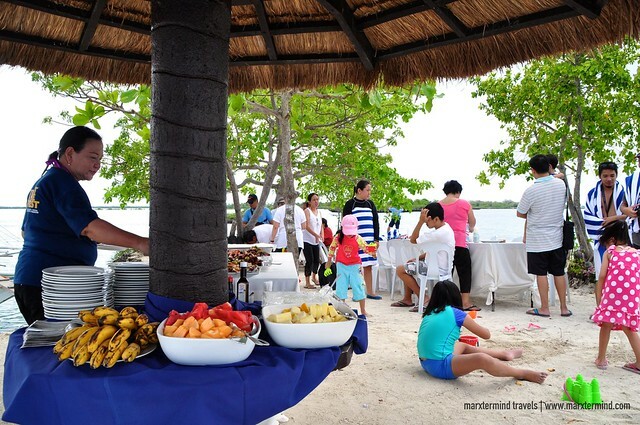 It was very convenient for us that Cebu White Sands Resort & Spa arranged our island hopping activity that day. The resort arranged everything from the boat, to our snorkeling gear, to island fees, to meals and so forth. We had nothing to worry but to get up from our bed and show up at our scheduled time for the activity. We left the resort a little past 9:00 AM. We were about 10 visitors in the boat that can accommodate up to 20 persons. I was surprised how big it was. I must say that was the most spacious boat that I’ve ridden for an island hopping activity. There was a lot of ample space to move around. We can actually throw a boat party. About half an hour since we left the resort, we’ve reached our first stop – the Hilutungan Island Marine Sanctuary. 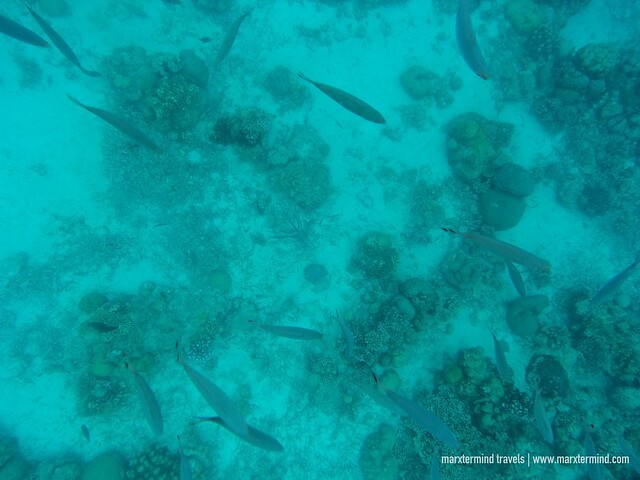 This sanctuary was said to be a popular diving spot and a great snorkeling area. 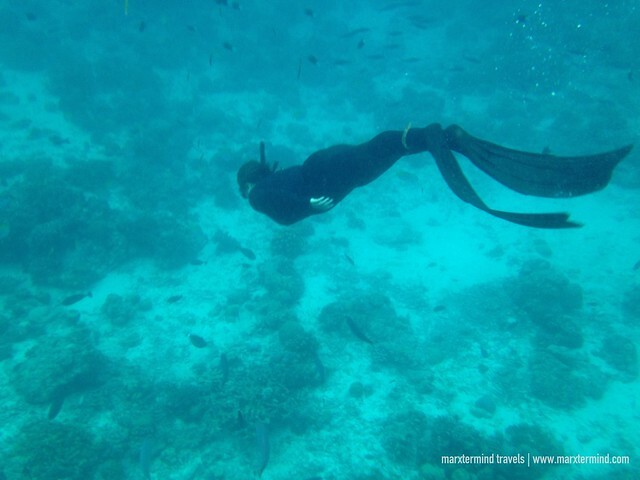 I was even told that this was the best of all islands for diving and snorkeling because of the rich marine life. 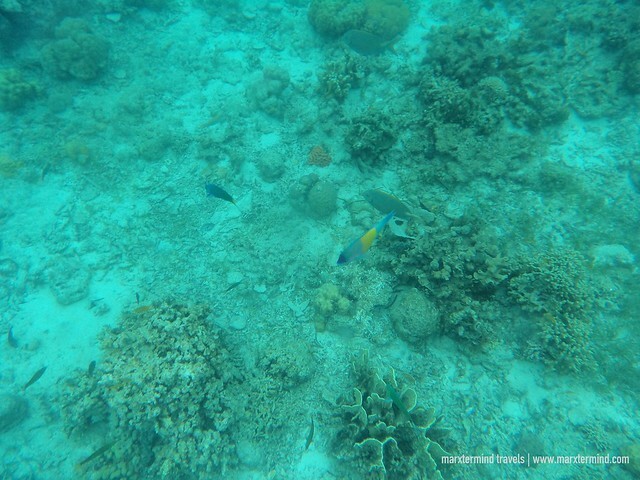 I was also told of the many different and colorful fish to see. The sky was gloomy. It was drizzling when we arrived at our first snorkeling spot. 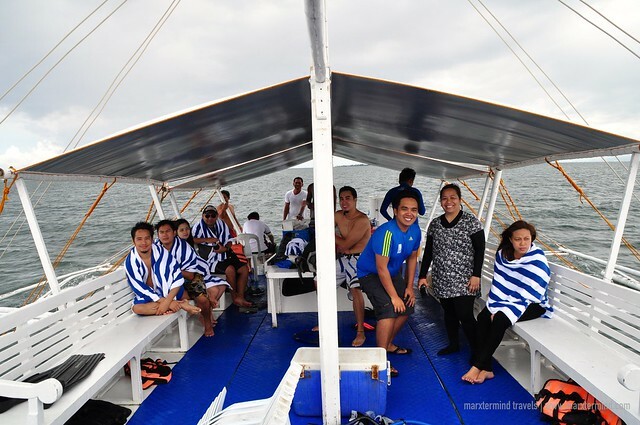 Though the weather wasn’t that cooperative, our group had still dived in to the sea so not to miss this sanctuary that Mactan has been raving about. 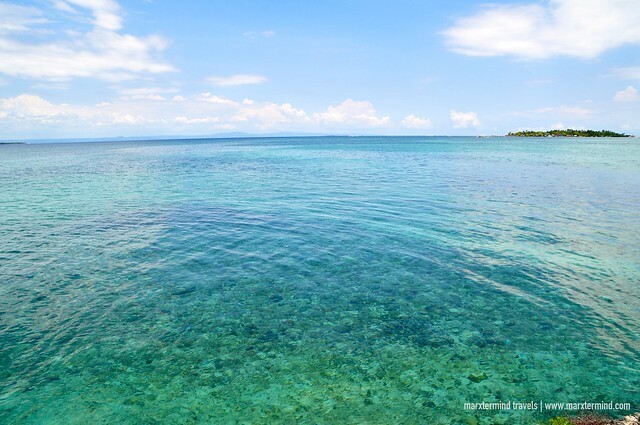 True to the testimonies by the locals, this marine sanctuary is really impressive. 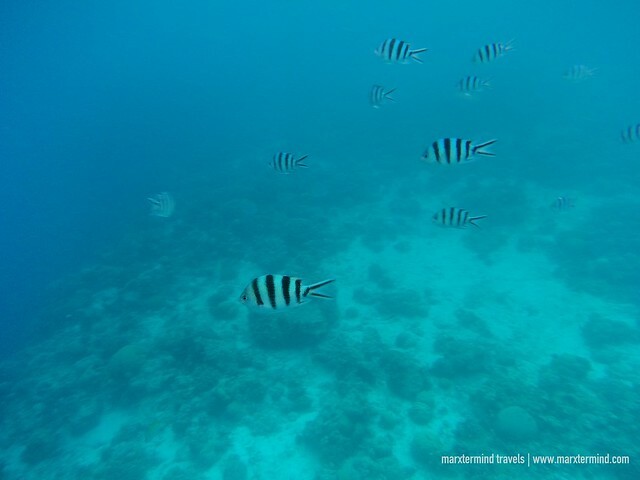 The area was really a nice spot for snorkeling because of the abundance of different fish. 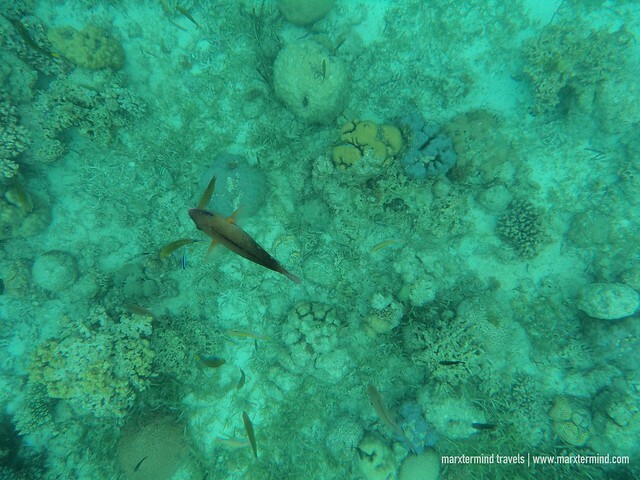 The coral reef was also nice and remarkable. 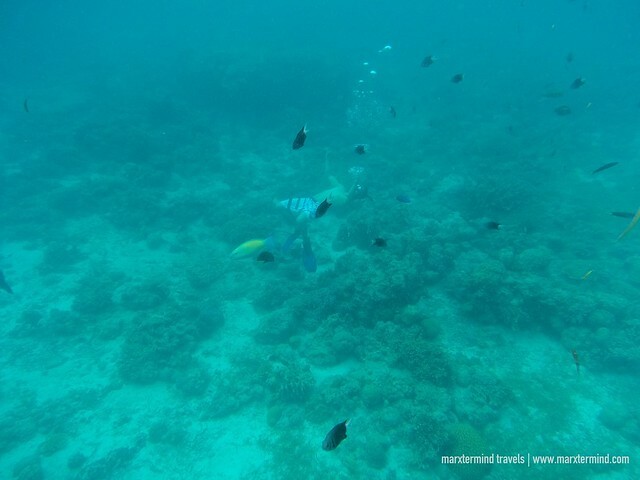 Some of our friends also went on a free diving session. Well, I hope I can able to learn that someday. 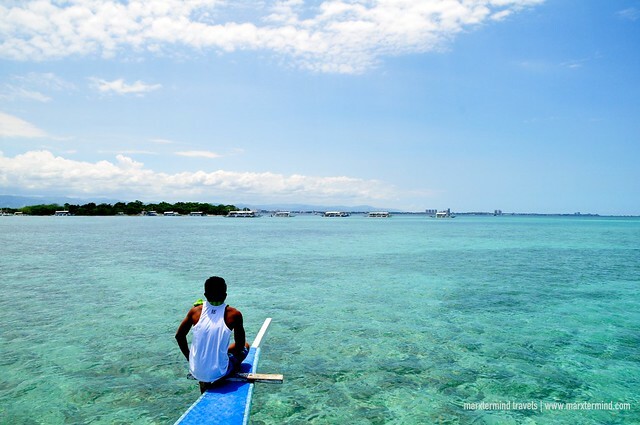 While most of us just swam here and there and merely enjoy the underwater beauty of Hilutungan Island Fish Sanctuary. Our second destination that day was the Islas Tres Rosas. 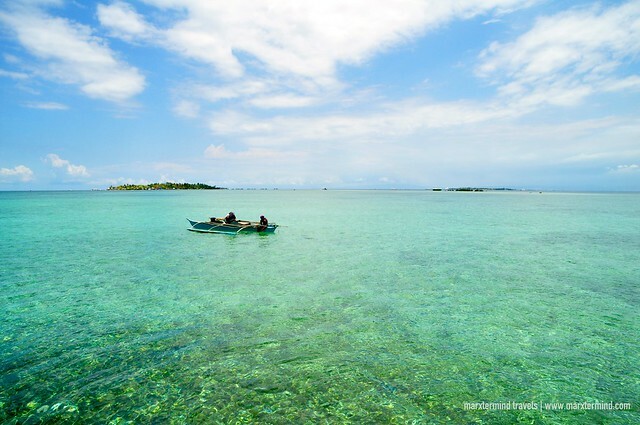 Islas Tres Rosas is a privately owned 3-islet cluster by Cebu White Sands Resort & Spa. The island is a 30-minute motorized boat ride from the resort shorelines. The island is a nice place for private gathering or any occasion, for that matter. We arrived at the island before noontime. The weather had become better this time. The sun was slowly showing up, giving us a nicer weather for us to enjoy the exquisite Islas Tres Rosas. As usual our group was excited to step into this small island, most especially when we learned that this place was exclusive. The island was just really small that you can get around for like 3 minutes or less. There was a single small hut erected in the island. Few trees can also be seen around, but what was remarkable is the clear water surrounding it. The water was so clear and beautiful that I was so tempted to take a dip but well, I became lazy. Here on this island where we also had our lunch, which was prepared by the resort’s crew. 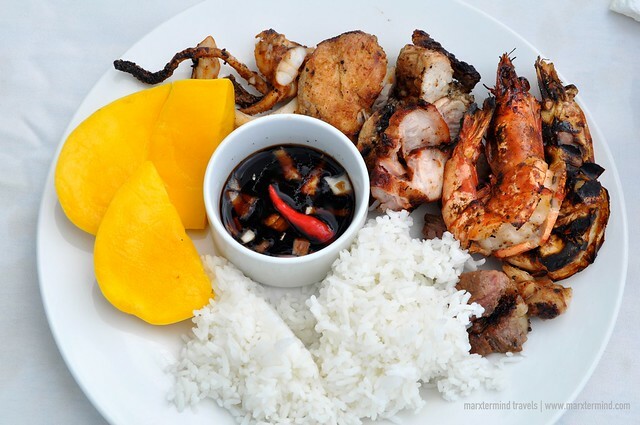 We had our usual favorites like seafood, grilled pork, chicken and fruits. 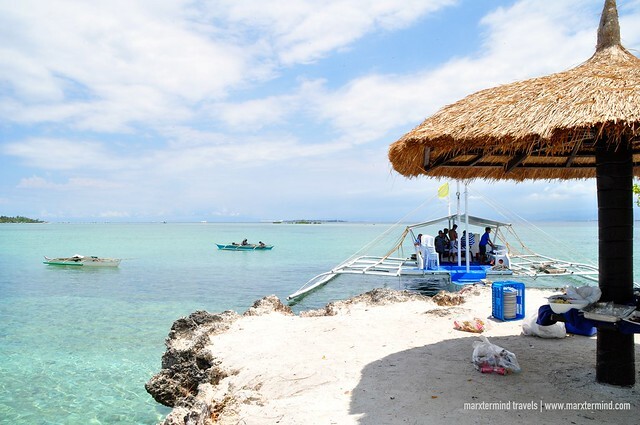 Before heading back to the resort, we made a stop at a snorkeling spot in Sta Rosa to complete our island hopping adventure in Mactan, Cebu that day. 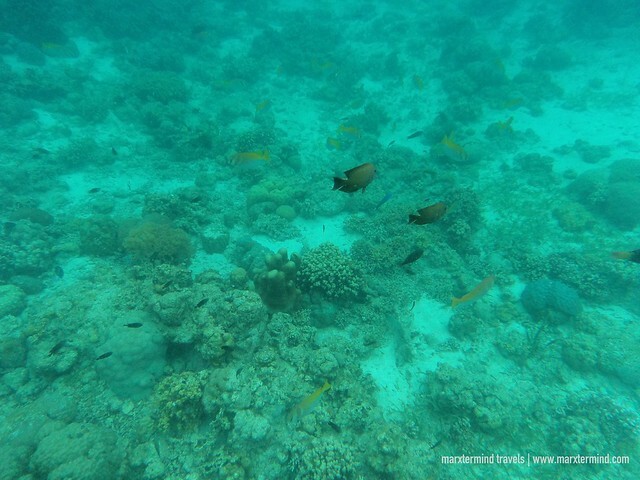 The area is also a nice diving and snorkeling spot. 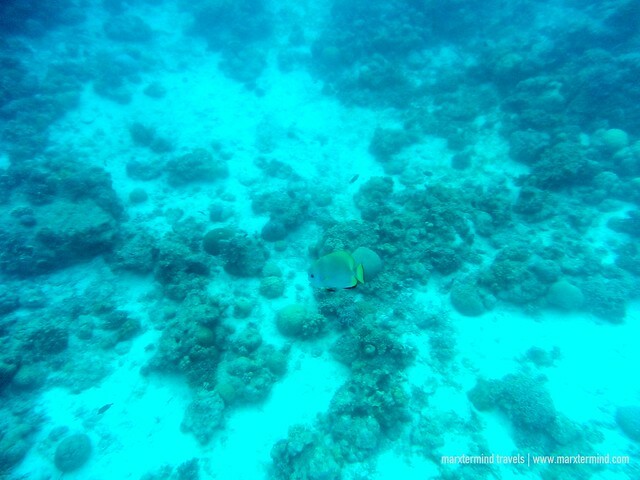 I spent a few minutes snorkeling to see how the underwater looks like but the first one that we went to still felt like more outstanding for me. Here, there were also different and colorful fish but not that plenty. However, if you just need to have a dip in the water and swim around then Sta Rosa is certainly also worthy for a visit. 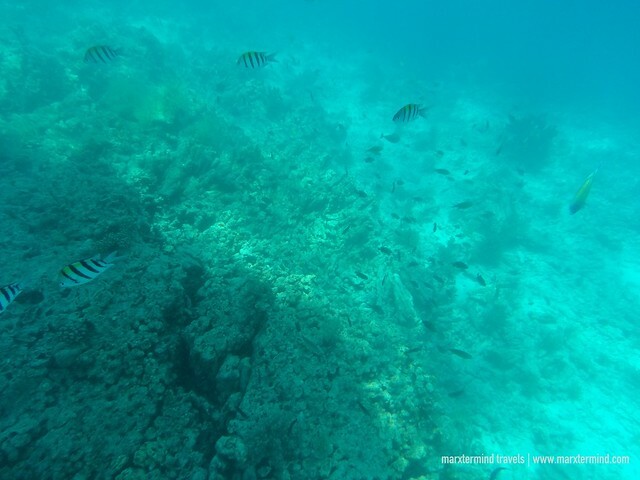 There are still a lot of islands and snorkeling spots to see around the area. Our group had only visited three destinations; nonetheless, it was already enough for me to gratify our desire to have a pleasant sea adventure. 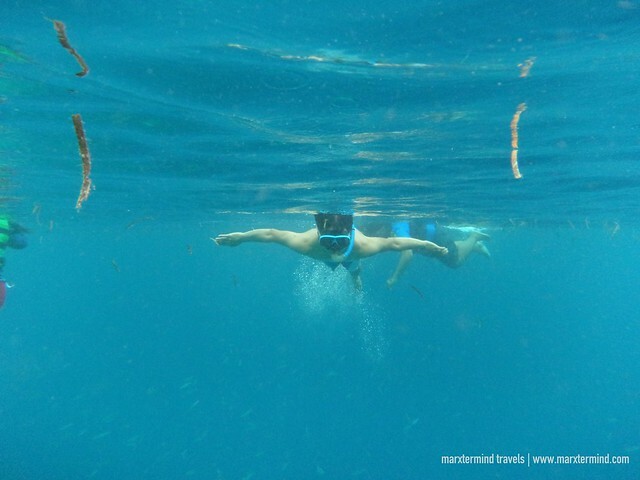 To see the underwater world, go to an island hopping with my friends, have a swim and spend a lunch in a private island were already enough experiences to make our enjoyable summer getaway in Cebu complete. You got beautiful pictures under the sea. Thank you for posting. 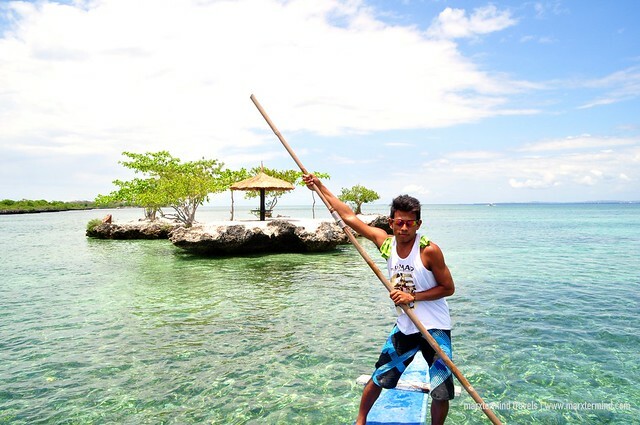 its great to see people enjoying their stay in Mactan! Nice, although from your photos of the Hilutungan Island Fish Sanctuary, the coral reef seems to be a shadow of its former self. Still, you had a great tour. 🙂 Welcome to our humble home. Any idea how much this would cost if booked thru Cebu White Sands Resort?